Well blow me down, it looks as if the ground is starting to shift. The welcome appointment of Matthew Xia to head up Actors Touring Company, hot on the heels of Roxana Silbert’s appointment at Hampstead, suggests that British theatre is at long last beginning to change. 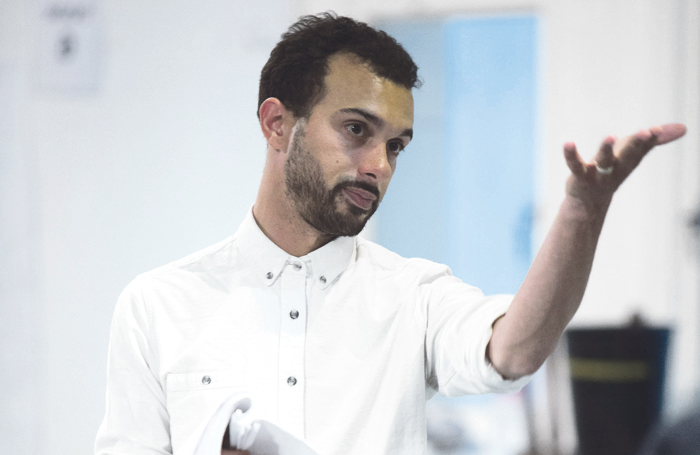 But the shift to artistic directors of colour, and from men to women, is under way. Justin Audibert is now at the Unicorn, Nadia Fall is making her mark at Theatre Royal Stratford East, Rachel O’Riordan is heading to the Lyric, Lynette Linton takes over at the Bush from Younis, who is heading to be creative director at the South Bank, and of course Kwame Kwei-Armah is installed at the Young Vic where next year’s programme opens up opportunities to a wide range of young directors and makers. They join Indhu Rubasingham at the Kiln, where she has demonstrated impressive leadership; Vicky Featherstone, whose 2019 Royal Court season looks set to usher in change; the energising Lisa Spirling at Theatre503; Gemma Bodinetz at Liverpool Everyman; Sarah Brigham, who has had a galvanising effect at Derby; Sarah Frankcom, who has transformed the Royal Exchange in Manchester; Annabel Turpin at the Arc in Stockton; Theresa Heskins at the New Vic; and Erica Whyman who, as deputy artistic director at the Royal Shakespeare Company, is shifting the culture at the Stratford venue. Two of our national companies are headed by women: Kully Thiarai at National Theatre Wales and Jackie Wylie at National Theatre of Scotland. Gains made can, of course, be easily lost. Green shoots can be crushed and need defending, particularly as theatre faces an uncertain financial future that often makes it more timid. And while changes to artistic leadership are great and very visible, it is not real change if that diversity doesn’t run all the way through a building like letters through a stick of seaside rock. Kwei-Armah recently told me about arriving at Center Stage Theatre in Baltimore in 2011 to be its artistic director and discovering that in a city where 70% of the population was black he was the only person of colour in the senior management. “People kept saying there just isn’t enough black talent,” he said. But then a senior member of the team told him she had realised that it wasn’t about talking a good game on diversity but acting on it, and said that if he promised to give her job to a person of colour she would step down. “She didn’t have independent wealth, she got another job using her skills, but she really believed in saying: ‘If not me, who?’ and ‘If not now, when?’ and the job did go to a person of colour. I always smile from my heart when I think of this,” says Kwei-Armah. He said the industry needs people not only taking personal responsibility for ushering in change but also structures that offer “accelerators wherever you find yourself in the hierarchy”. So yes, let’s celebrate the changing landscape, but let’s also remember there is still more work to be done.